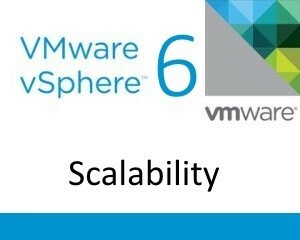 In VMware vSphere 6 scalability has been improved both on the physical host as the virtual machine side. vSphere 6 doubles thealready impressive 5.5 values. 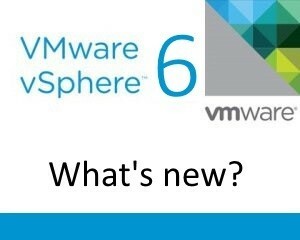 With this release VMware has increased the scalability substantially. vSphere 6 clusters can now support 64 hosts with 8.000 virtual machines. vSphere 6 Hosts can now support 480 physical CPU’s and 12 TB of RAM, each host can now also support up to 1.000 virtual machines. Scale-out applications will see greater consolidation ratios and improved performance with larger cluster sizes and greater virtual machine densities. vSphere Big Data Extensions simplifies and automates the process of provisioning and configuring production Hadoop clusters. 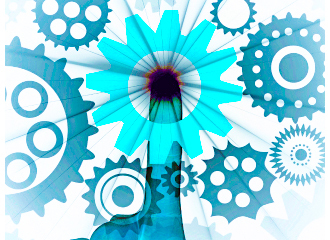 The virtual machine maximums have also increased substantially. In vSphere 4 VMware introduced the ‘Monster VM’ with 8 vCPU’s and 255GB of RAM. If that’s a ‘Monster VM’ a vSphere 6 (hardware version 11) virtual machine must be ‘GODZILLA’. With 128 vCPUs and 4 TB of RAM, vSphere 6 is capable of virtualizing even the most demanding applications. 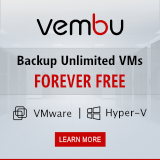 Complete vNUMA support, including hotplug support. Currently, hot-add memory only gets added to region 0. This is changed to distributed the newly added memory according to the numa architecture. WDDM 1.1 – Hardware acceleration of operations helps reduce memory footprint in Windows, because the Desktop Window Manager compositing engine no longer needs to keep a system memory copy of all surfaces used by GDI/GDI+, as it did in WDDM 1.0. WDM 1.1 is supported on Windows 7 and above. xHCI 1.0 allows USB 3 devices to run at full speed. Many customers wish to remove all unused devices from virtual machines, utilizing vHW11 customers can now remove serial and parallel ports. In addition customers can now add up to 32 serial ports to a virtual machine. vSphere 6 also includes support for NVIDIA GRID vGPU which delivers rich 3D graphics from the data center that can be easily accessed across devices and locations–more affordably than ever before. 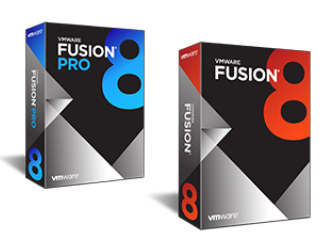 VMware Horizon and vSphere 6 with NVIDIA GRID vGPU enables designers, architects and engineers to run the most advanced, graphics-rich applications in a remote desktop – using NVIDIA professional 3D graphics and certified application drivers. This graphics mode shares the DirectX and OpenGL support of VDGA with the density of VSGA. The best of both worlds. Serial and parallel ports can now be removed from a virtual machine when using compatibility 6 (vHW 11). In addition, the maximum number of serial ports has been increased to 32. Security-conscious organizations like the ability to control all aspects of the hardware that the applications are running on. With vSphere 6.0, they can remove unused serial and parallel ports. Prior hardware versions would always have the serial and parallel port hardware present within the virtual motherboard’s SuperIO chip, even when there were no virtual serial ports or virtual parallel ports configured for the virtual machine — the ports would quietly be “present but disconnected”, so they would still consume I/O space and IRQs, and still show up as present in your guest OS’s device list, I/O port map and IRQ map. With the latest hardware version, if you remove the virtual serial port and virtual parallel port, they will be gone. The guest OS will not see the device at all, and it will consume no I/O port space and no IRQ. Point-of-sale systems often require a large number of serial devices. With vSphere 6.0, each virtual machine can contain as many as 32 serial ports, enabling virtualization of more point-of-sale systems. You may wonder why VMware has done this, because there are no servers with these kind of specifications. Really? You think it is a coincidence that the new scalability limits exactly match the HP Integrity Superdome X? and your point is? mr smarty pants? Great question! Prior hardware versions would always have the serial and parallel port hardware present within the virtual motherboard’s SuperIO chip, even when there were no virtual serial ports or virtual parallel ports configured for the virtual machine — the ports would quietly be “present but disconnected”, so they would still consume I/O space and IRQs, and still show up as present in your guest OS’s device list, I/O port map and IRQ map. With the latest hardware version, if you remove the virtual serial port and virtual parallel port, they will be gone… the guest OS will not see the device at all, and it will consume no I/O port space and no IRQ.